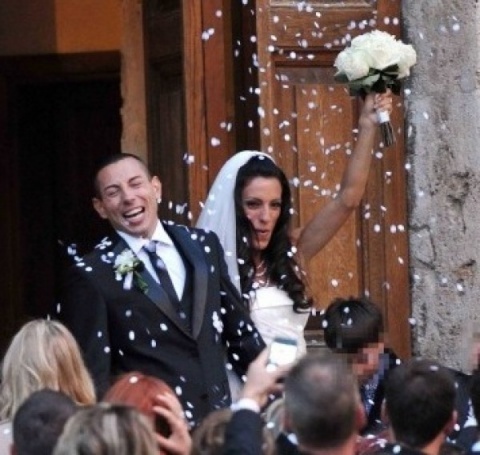 Bulgarian star athlete Ivet Lalova has married her boyfriend, Italian sprinter Simone Collio. The ceremony took place in the Italian town of Rieti, where the two have been living for the past few years, according to reports of Bulgarian private TV channel bTV. The wedding ceremony was held in the Church of San Domenico. There were many top athletes on the wedding-guest list and Dobromir Karamarinov, President of the Bulgarian Athletic Federation, also attended the ceremony. Ivet Lalova changed her last name to Lalova-Colio.